Field guides are indispensible to the mushroom hunter, unless you're hunting for a specific species and they are easy to identify, such as chanterelles, boletes, etc. I bring along a copy of All That the Rain Promises and More... its a handy back pocket type book that handles getting damp pretty well. Once my bags are full I go home where my well used copy of Mushrooms Demystified is waiting for some close examinations and work with the extensive keys. I like that these two books are written by the same author, which he takes advantage of by referring you to MD for more info in All That the Rain Promises and More..
Also, for a more complete overview of the magic mushrooms, Paul Stamet's Psilocybin Mushrooms of the World: An Identification Guide is worth the purchase. Feel free to share your favorite mushroom hunting books in this thread. I have these 3 and really like them all. This book is really nice as well. 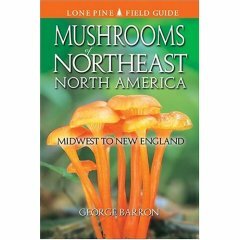 I want to recommend my favorite Field Guides for Magic ShroomHunting. 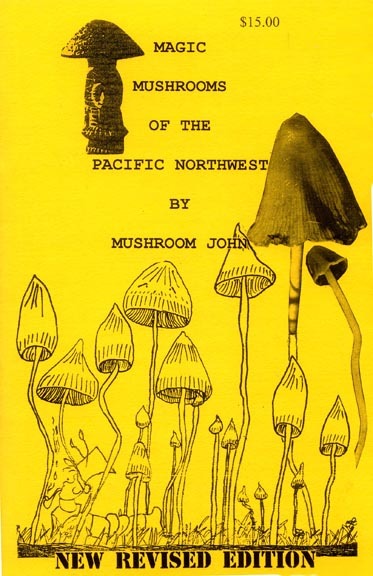 The first is my booklet, "Magic Mushrooms of the Pacific Northwest." This booklet describes 18 species common from San Francisco to Vancouver, British Columbia, Canada. 12 photographs in full color and 35 black and white photographs. This field guide is the oldest longest selling guide to magic mushroom identification and has out sold both of Paul Stamet's two Field guides. First published in July of 1976, it has now been in print for more than 32 years and still sells quite well. 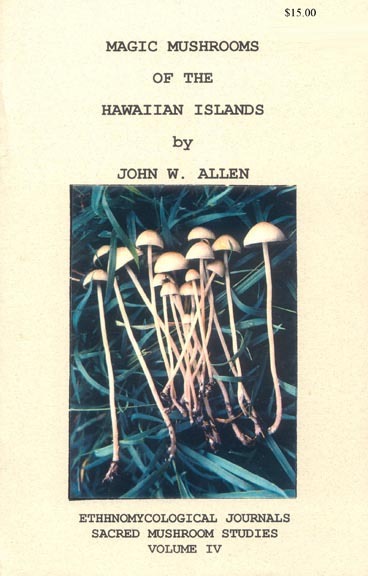 6 photographs in full color and numerous black and white photographs Of Hawaiian Magic Mushrooms. 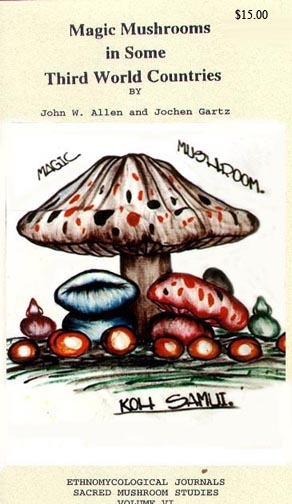 And for those of you wishing to vacation in Exotic Locations, a book on where to obtain mushroom omelettes, pizzas, soups, and mushroom smooties, "Magic mushrooms in Some Third World Countries, " co-authored by Jochen Gartz. Here is a guide you can use for free! 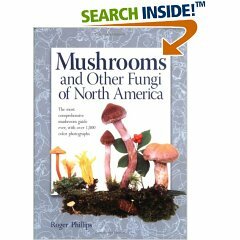 The most common used book by Rolf Singer who classified all the Agaricales and also later wrote the first monograph on Psilocybe species. 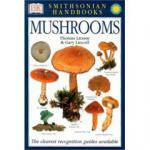 These are four of the most common popular books used in schools today by amateurs who want to study mushrooms. 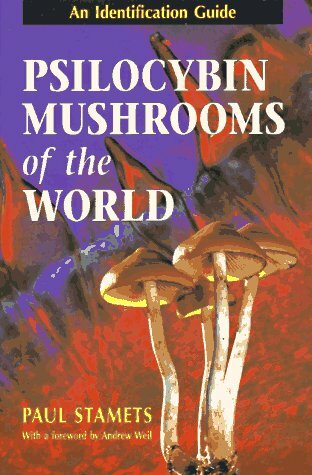 I found it strange that this list did not include Gaston Guzman's, The Genus Psilocybe, but then again that is a book of taxonomy of the genus. The list also did not include Ewald Gerhardt's German language monograph of Panaeolus or that of Gyorgy-Miklos Ola'h's French monograph of Panaeolus. Here are two references to the most simplest of books used in universities on mycology. Christiansen, Clyde M. 1965. Hallucinogenic fungi. The Molds of Man:215-216. University of Minnesota Press. Minneapolis. 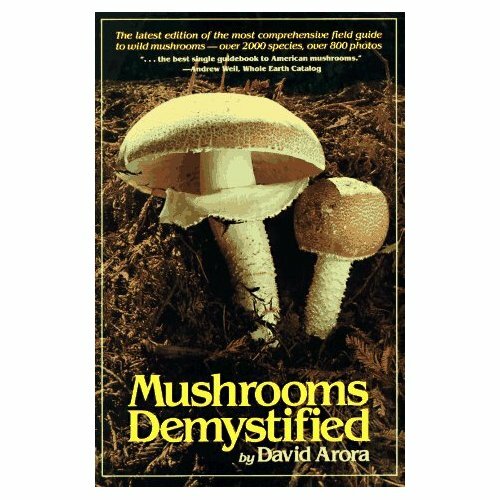 A fine book for studying and learning the basics of mycology (the study of mushrooms). ------. 1975. Molds, Mushrooms and Mycotaxon. 164p. University of Minnesota Press. Minneapolis. Edited by mjshroomer, 29 May 2009 - 12:56 PM. Those are two of my favorite and most useful books. Just downloaded your guide in pdf form WarriorSoul and it is EXCELLENT. 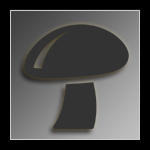 Regarding the field guid eyou listed form Wikipedia, Psilocybe quebecensis is not the most northern known psilocybian mushroom. It was first collected and written about my colleague, Gyorgy-Mikos Ola'h and French mycologist Roger Heim in 1966 when they wrote the paper on the taxonomy of the species. In 1973, Ola'h wrote the paper, "The Fine structure of Psilocybe quebecensis. Between 1966 and 1973, Ola'h reported finding it in the same spot every year, and in several similar habitats, all in the Jacques Catier River Valley area of norther Quebec. At the time, they described it as the only species of the far northern region of the North American Continent. However, at that time, Ola'h was not aware that Psilocybe semilanceata was also north and further than the location of P. quebecensis. You might want to change the page for that comment in you Wikipedia book as I do not know how to add or remove data from those pages. No one outside of Ola'h and Heim have found this species since. I believe that one collection of a few specimens was found in Montreal at Mount Royal Park on time. 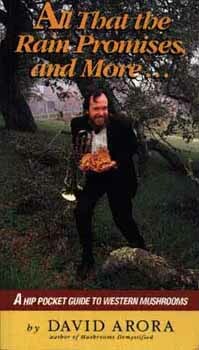 John have a shroomy day. There are some minor errors in species data of several in the guide. Unfortunately, people have started to edit the articles there to fit the Wikipedia format, and in the process they have reworded some of the descriptions, for the worse...Ive stopped writing articles there because of this headache. Any errors you can point out, minor or otherwise, would be greatly appreciated. btw.. there have been some finds of Psilocybe quebecensis in the last few years. Edited by warriorsoul, 27 October 2013 - 01:31 AM. I love all the links! But since I am starting a personal library with my girl, we will probably just purchase most of those books. We are in the process of getting a book on Enki. And off topic a little my favorite book that I own is "Liveing on the Earth", by Alicia Bay Laurel. A true hippy book. It is all in her hand writeing, and not many copies where published. A true treasure in my eyes. what would be the best for the eastern usa (i.e. appalachia)??? it seems the best ones focus on the west coast. That one about Eastern North America that Lazlo posted looks like it would cover the area you're asking about. 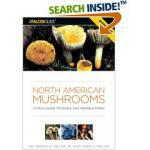 Mushrooms Demystified is a really comprehensive manual for all North American Mushrooms. 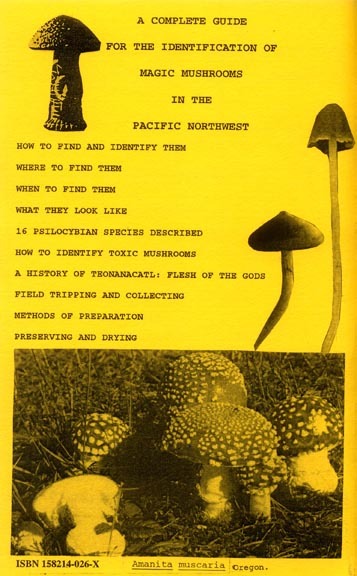 True there are probably more mushrooms in the Pacific Northwest than found in the rest of the continent, but that doesn't mean that a good field guide won't cover the other areas as well, that said I don't think you'll be disappointed by MD. haha whoops don't know how i missed this post. Next, I will be getting the two books by D L Largent, that Mj and Alan mentioned above. For now; I have the National Audubon society: Field guide to mushrooms; G Lincoff, nobody mentioned this one...I like the heavy duty binder and flip through guide from visual to discription. Also I have edible wild mushrooms of north America...this one I have found not as enjoyable. I have it with me all the time...it does mean that I am hooked and not presently seeking intervention. Edited by Jose_sixpac, 25 August 2009 - 10:07 AM. "A Field Guide to Australian Fungi" - B. Fuhrer ISBN:9781876473518. "A Field Companion to Australian Fungi" - B. Fuhrer ISBN:9781876473402. "A Field Guide to the Fungi of Australia" - A.M. Young ISBN: 9780868407425. 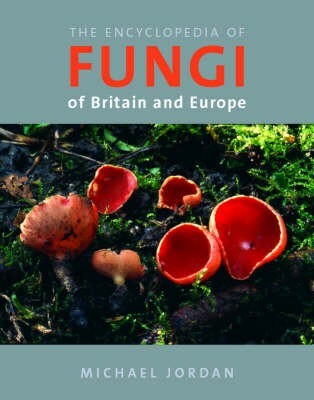 "Fungi of the South-West Forests" - R. Richardson ISBN:0730755282. "Fungi Down Under: the Fungimap Guide to Australian Fungi" - Pat & Ed Grey ISBN:9780646446745. Fungimap. Compendium of Fungimap Target Species, Version 1.1 (CD-ROM), Fungimap, Melbourne, Australia, 2001. Young, AM. 101 Forest Fungi of Eastern Australia, CD-ROM, Version 1.0, Knowledge Books & Software, Brighton, Queensland and ABRS, Canberra, 2001.
http://www.fungipert...Field-Book.html - Field guide to urban mushrooms of Perth. *Note: They seem to update this from time to time and it goes offline for a while when they do. http://www.anbg.gov....ates/index.html - Plates for M.C. Cooke's "Handbook of Australian Fungi"
I will edit and update these lists with descriptions and any new additions when I have some more free time. If anyone has any to add to the list please shoot me a message. 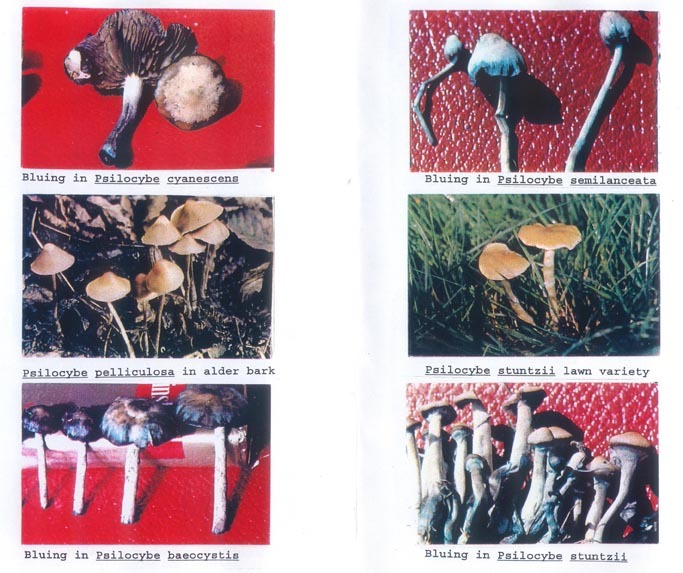 Also available ar erowid.org is, "Magic Mushrooms of Australia and New Zealand" with about 25 colored photos. Originally published in a 1990 issue of the Journal of Psychoactive Drugs, the erowid version is an extended edtion with data not in the journal published copy. I intend to post a PDF on my website sometime this summer from the original journal article. 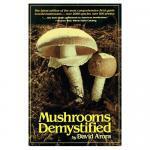 Also see my best mushroom books library posted here in part one to four. I am sorry I did not get around to the books and articles of the !980s to the books of 2012. Freaky had promised to create a John Allen thread here for all of my published papers and pictorials I contributed here since 2002, yet never did. Eastwood played games with me with a midnight call trying to get me to put my personal info in advertising here when i told him my site does not endorse companies or individual sales as it is slowly a site for learning and appreciating magic shrooms. He got my phone number, called me late at night from the east coast and he also requested I hold some merchandise for him to buy and then flaked off with no response back after several pm messages which I copied and kept to my folder of people at shroom sites who asked me to save items for them and then do not respond or buy them after others asked for them and I tell them that someone already wanted them or ordered them. Eastwood's game was he had to go to the bank and he sent me several messages here that he was going after work each day for about five days. So because he did not keep his word, I sold the item he ask me to specifically hold for him. I sent him an additional mail telling him if I did not here back again aI would sell them to others that wanted the magazine. Sometimes I get letters later from perspective buyers saying I do not have a yahoo card or I do not have a hotmail card to send the money to paypal or a paypal card (something one does not need or like Yahoo or Hotmail, no such card exists, and they tell me they need to go to the bank to get money to buy a yahoo account card. Of course that is a lie that anyone with half a brain would know. And recently someone did the same to me at another shroom site, wanted me to hold items and then after 5 days and no reply back, the person just did not answer the emails or pm messages that began with somone asking to purchase. I want to bring to the attention of members here, I will have ten full color editions of "Magic Mushrooms of the PNW" for sale in a few months. Every species with colored photos on the pages of identification and 24 colored extra photos in the two centerfolds. A one time sale only, with one copy to Harvard, one to the U of W and one to Erowid. The other 7 will be auctioned off at ebay. A very nice member of another site just put up the money (a lot) to print ten such copies, a one time only sale and printing, for me as a thank you for all my work in the field of shrooms and my sharing that work with the world. And that very person requested that I keep his copy I was to give him as a gift to me for my work, although I am selling everything of mine mushroom and other drug related library soon as I am cataloging the photos right now in albums and the slides. Edited by Man of Knowledge, 31 May 2012 - 10:46 AM.